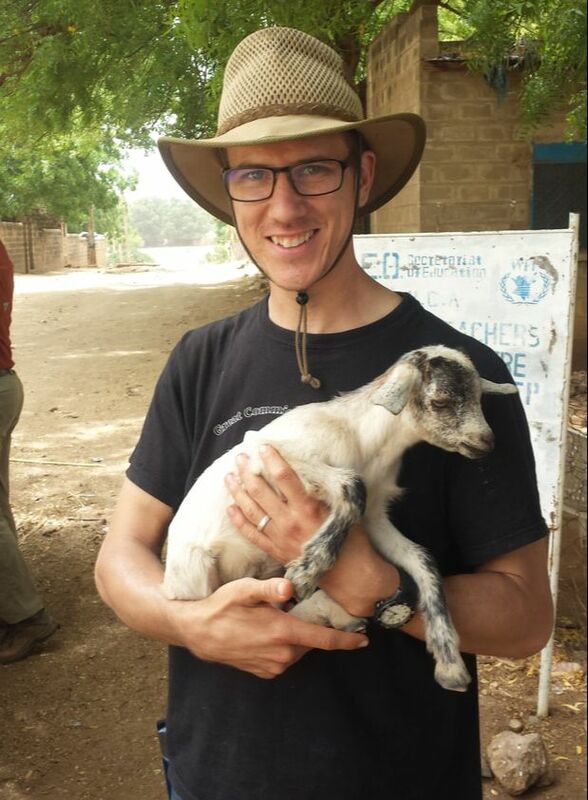 By God’s grace and in answer to prayer, Ben was able to negotiate incredible logistical challenges and have the container of 40 000 Bibles and 50 000 Story of Jesus Christ story booklets successfully delivered to the Nuba Mountains. The purpose of our mission was to carefully distribute the Bibles to pastors, teachers, military personnel and school children. We were able to distribute 32 000 of these Bibles and 43 000 of the booklets throughout the Nuba mountains of Sudan. We praise God for His protection over the many thousands of kilometres of flying and driving in dangerous areas. Thank you to all who made it financially possible and for praying for us. It was surreal walking in places littered with fox holes and bomb shelters, knowing that a little over a year ago, bombs were being dropped on the very places I was travelling through. 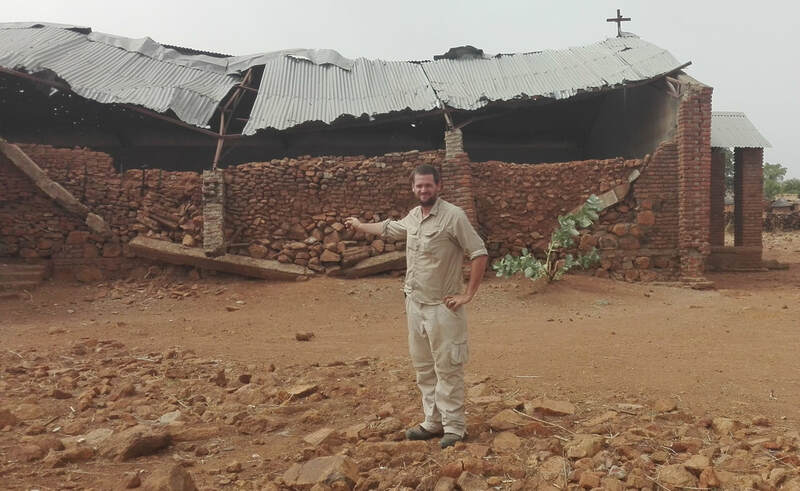 The thousands of children we shared the Gospel with in schools had endured aerial bombardments by the Sudanese government time and time again. Although horrific, it is commonplace for the Nuban people to have seen friends and family die in bombings and military attacks. By God’s grace and pressure from the US with a promise of sanctions being lifted, a ceasefire has been implemented in Darfur, Nuba and the Blue Nile. President Al-Bashir was not driven by compassion on the people he was killing, but by a financial raise in the country’s economy. This time of peace made our task of distributing Bibles to the Nuban schools possible. It was hot. Extremely hot. Already 45º Celcius (110ºF) in the shade and we weren't in the shade! The palm trees and occasional camels reminded me that we were in North Africa – at the Southernmost edge of the vast Sahara Desert. The steep rocky mountain slopes that we had repeatedly traversed are part of the Nuba Mountains of Central Sudan. Our GPS (Global Positioning System) confirmed that we were inside the famed 10-40 window – at 11º latitude in fact. Yet by the late fifteenth century the weakened Christian kingdoms reeled from waves of Arab attacks. Towns were burned and confusion spread. Nubia fell. The fall of the Christian kingdom of Dotawo in 1484 and the fall of the southern most kingdom of Alwa in 1530 heralded the demise of Christian faith in Northern Sudan. Today Sudan is an officially Islamic state. The National Islamic Front (NIF) regime has declared Jihad (holy war) against the Christian South and against the Arabic speaking Nuba Christians in central Sudan. Article 1 of Sudan's Constitutional Decree (October 16, 1993) states: “Islam is the guiding religion . . . it is a binding code that directs the laws, regulations and policies of the State”. The government of Sudan's leaders regularly proclaim their goal of transforming Sudan into an Islamic state with one language, Arabic, and one religion, Islam. Nearly two million people mostly Christians have died so far (most from a man-made famine) in the scorched earth and bombing campaign launched by the Muslim North. Read more: Why Did Christianity Die Out in Northern Sudan? Nightfall in the Nuba Mountains always comes as a welcome relief from the oppressive heat. Much of our ministry in Sudan had been carried out in stifling heat which sometimes reached 58ºC (136ºF). Hiking up and down the Nuba Mountains, with 35 kgs (77 pounds) of kit, for hours on end in the heat of the day tests one's endurance. During the day our eyes continually scanned the skies, the horizons, the bushes and the paths for any signs of danger. There was the very real danger of an air attack or ambush and landmines had been sown throughout the area. At night time the danger of an air attack subsides, but the possibility of stepping on a landmine or walking into an ambush remains. We strained our senses to try to recognise shapes and sounds in the darkness. Our pace had to slow down as we carefully negotiated jagged rocks and precipitous slopes. Unless one has experienced the heightened alertness and intense concentration of anticipating an attack, realising that every step could be your last – it is impossible to imagine or explain the fear and thrill of excitement, dread, exhileration and adrenaline rush – nor how prayerful and thoughtful one can become.